Posted in: Media Release, Missing. Tagged: Smalley. UPDATE: 4/16/2019: 1:24 a.m. LOCATED SAFE, thank you for helping us spread the word that brought Kenzie safely home. Can you tell the difference between real and a fake? Do you know what a counterfeit bill looks and feels like? Do you and your employer know what to do when you suspect that someone is trying to pass a fake bill? What do you do if you discover, after the fact, that you’ve received one? 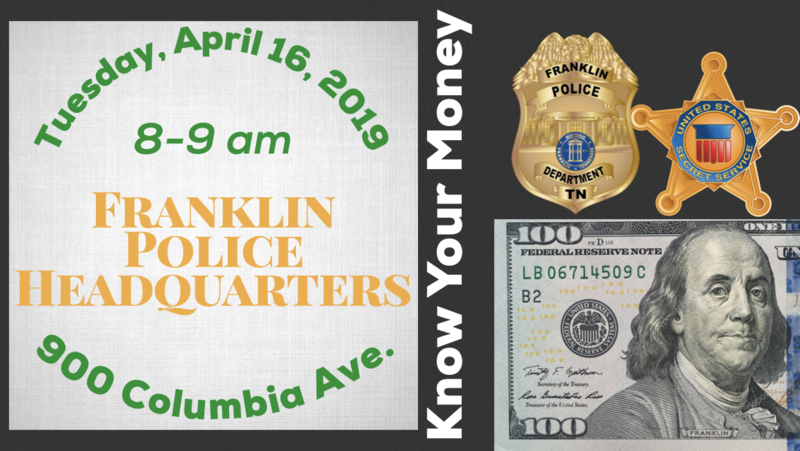 If you own or manage a cash business, or if you have a job that has you handling money, Franklin Police and the United States Secret Service will answer these questions and more during the one-hour seminar: Know Your Money. The seminar is free and registration is not required. 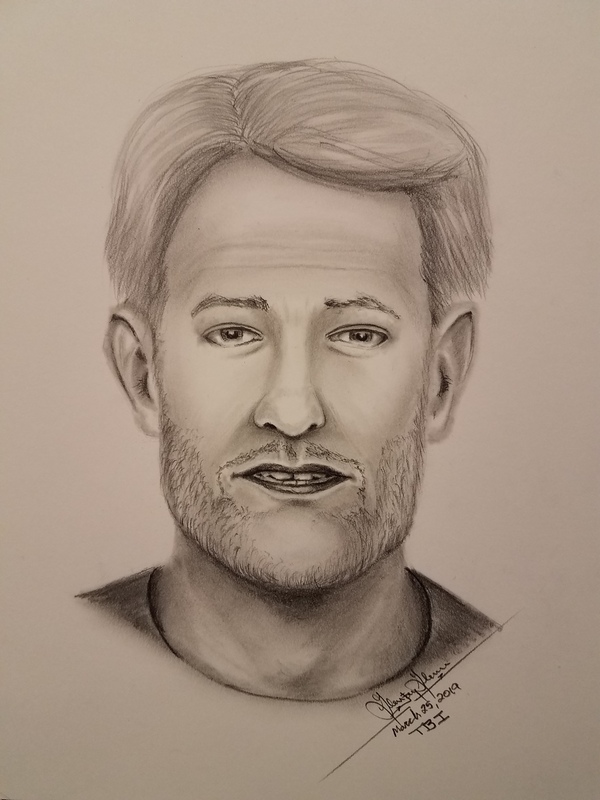 Posted in: Crime Stoppers, Media Release, Put A Name with This Face, Reward, Update, WANTED. Tagged: Clark. 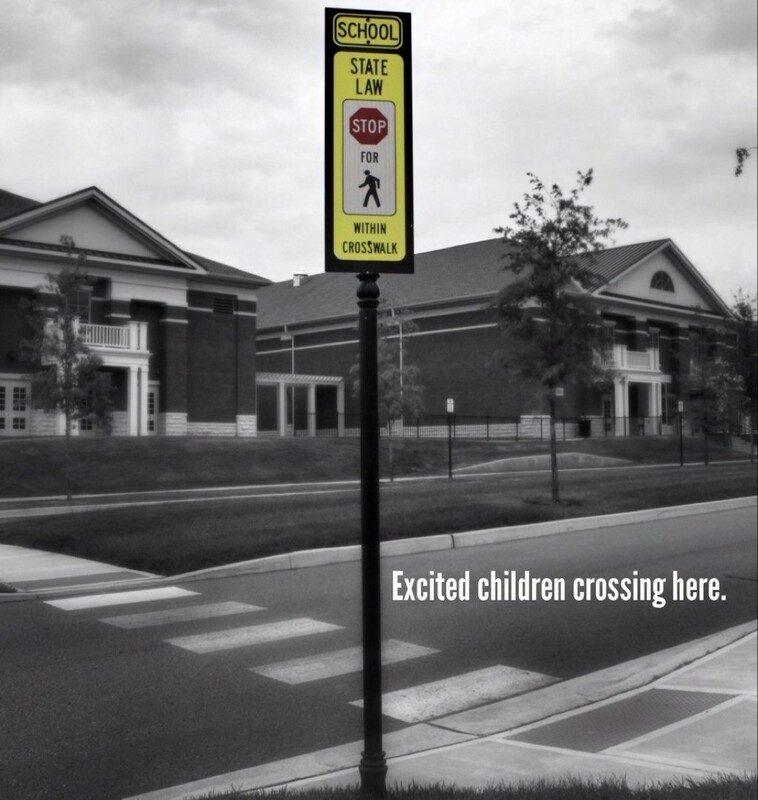 April is Child Abuse Prevention Month. In recognition of that, this display, created by a local Eagle Scout, is being featured outside the Franklin Police Department. 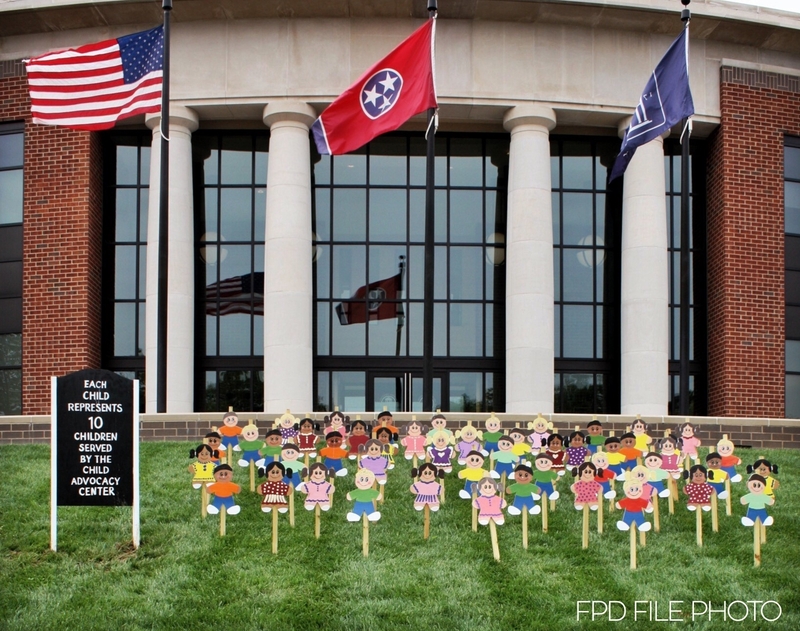 The 33 ‘kids on the lawn’ represent 330 abused Williamson County kids served by the Davis House Child Advocacy Center last year. Of those, 172 were from Franklin. The display provides a visual representation of what so many of our community’s children and families face. 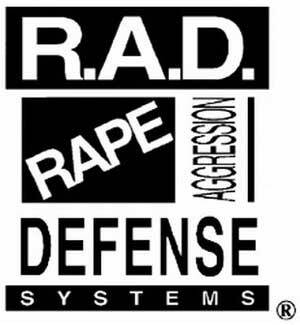 April was first declared Child Abuse Prevention Month by a presidential proclamation in 1983. Since then, April has been a time to acknowledge the importance of communities working together to prevent child abuse. Abuse and neglect affects more than three million U.S. children every year. 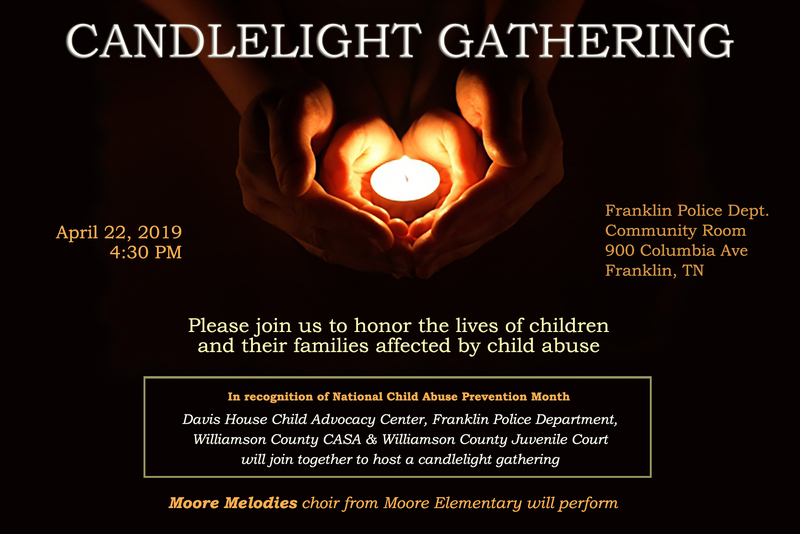 📆 A public candlelight gathering honoring the recovery of abused children will be held at Franklin Police Headquarters at 4:30 pm on April 22.